As a powerful open source CMS, Drupal is best used for large social networking, business, education institutions, government and corporate websites with complex functionality where flexibility, stability and reliability are important. Millions of websites and applications are built on Drupal supported by active global community. With the highest level of expertise in open source CMS development, Rize is well positioned to convert your ideas in to successful business models. Rize is one of the active members of the Drupal developer community and has developed and supported various modules based on Drupal. We have a team of dedicated Drupal developers working to provide Drupal application development, support and maintenance services. Hire Drupal developers from Rize to build solutions and real-world digital experiences on the web, mobile, social and commerce. Drupal as a comprehensive Web Content Management System is very effective in building content rich and high traffic websites. 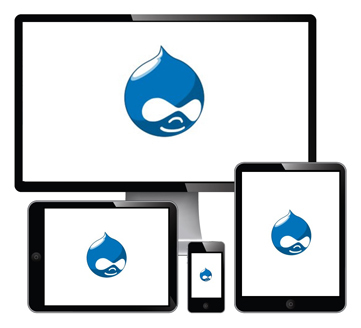 We build applications on Drupal that are scalable, secure and responsive. Reduce learning curve and development time as we have developed many Drupal custom modules over time. We help transform your business with comprehensive Drupal services as we are well versed with thousands of add-on modules and custom features. We leverage our strengths in mobile apps development to develop highly optimized and fast performing business applications.